I never got around to submit it to the official release, so it's more of a spin-off. Any questions or problems with my themes? - Read my FAQ first! Es compatible con Ubuntu el tema ? Como lo podría aplicar? 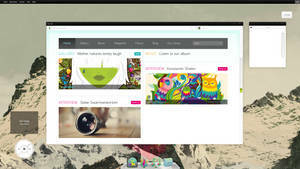 i want that icon,,i search but found for windows..
so unbelievably nice and clean!!!!!!!!!!!!! Do you think I can use this under gnome shell/GTK3? 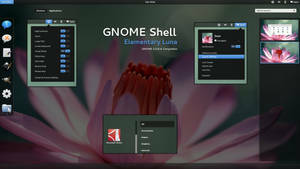 I would love to use this in gnome shell. Can we get the wallpaper? 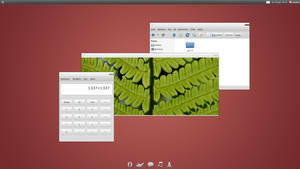 It's not actually possible to use either the Emerald or gtk theme under gnome-shell, since Emerald (the provider of the window border) requires Compiz which cannot be used with gnome-shell's Mutter. 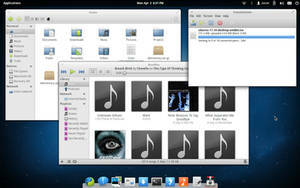 And the gtk2 theme can't be used unless it's ported. Sadly. Does this theme has Close buttons? Scrollbar? OK/Yes/No buttons? Progression bars? If not, although it might look nice it's is highly UNusable. Has all. But the maximize and minimize buttons are hidden unless the mouse hovers over them. Where is the background picture ? I love this theme, absolutely love it. Is it possible however to make the fonts a bit darker (i.e. 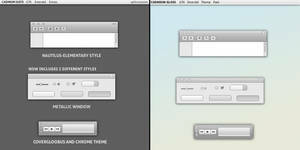 change the font color) in for example menu bar, buttons, etc (everywhere)? Would you mind, sharing your Icon-Theme? If not, can you tell me where to find them, please? owh man...really awesome work , having being using your Vses since 2 years back...this is really nice man. Congrats on the DD.! This is one of the best themes I've seen in a log time, thanks for sharing it. Magnificent, I will definitely apply this the next time I use Linux. 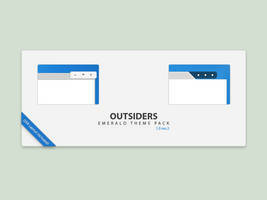 Nice design, and truly it makes a pleasant difference on a modern desktop, well done! can anyone port this to a windows7 theme ? pleease? Neat. I appreciate an aesthetic touch to utility. 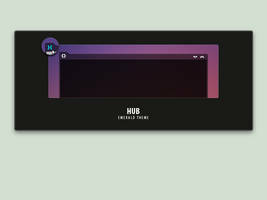 Hey, awesome theme, but I've got some problems installing this. I previously had some other theme installed (also with Emerald) that worked fine, so I hope that's not the problem. Any ideas what the problem could be and how to fix it? Do not submit this masterpiece in the project's official Gaia 10? 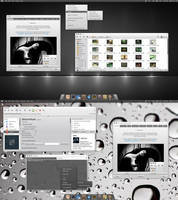 This is by far one of the best themes we can find for Linux! For many years I have used your themes, from Windows XP to Linux and so far you are the best designer of skins I could find! Keep the great work and Thank you! Hi! 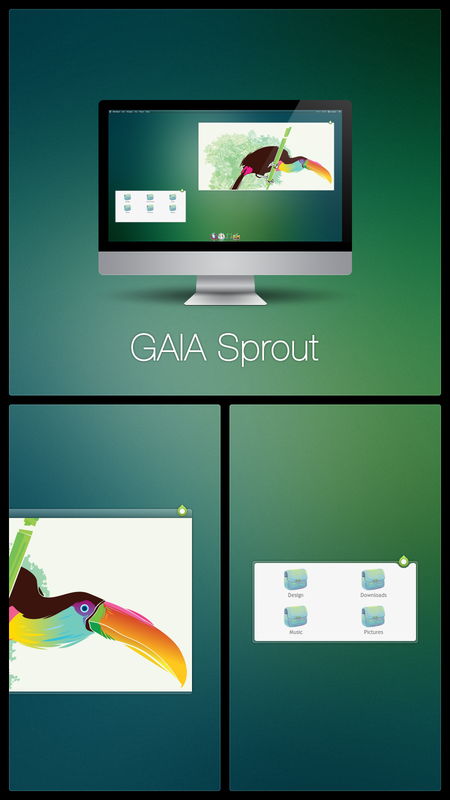 Extract the 7zip and put the GAIA Sprout folder (which was included in the 7zip) in /home/<you>/.themes or /usr/share/themes (if you want to make it available for all users). So the best part of Gaia10 is not even officially in Gaia10... interesting! 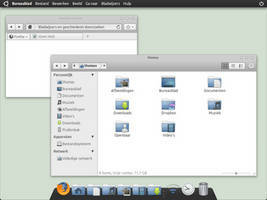 I really love the GTK theme in this package, I have found a bug though. It makes Inkscape really slow. Any ideas for a fix. 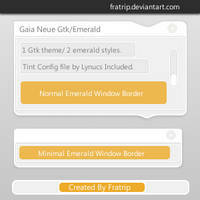 I would like to continue using this wonderful theme. 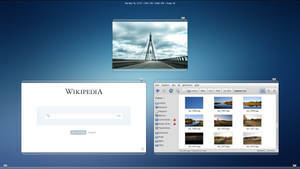 which is more customisable windows or linux ? From a Windows/Linux user point of view and without the advertisement crap: Windows(and MacOS) is not Customizable, all you can do is change the wallpaper and the color scheme, but people patch certain files so you can do more , after that everything relies on patching and replacing system files which is dangerous, time consuming and very user unfriendly. Or by using 3rd party software. On the other hand, Linux has everything open, it means, all you have to do to use the theme is install and use the theme, all you have to do to change an icon is to replace it(or modify it if it's in SVG format), and what you can do with the themes is unlimited(take this work as an example). 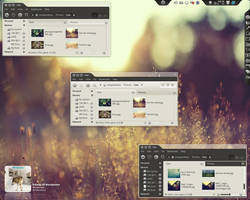 So, Linux is more customizable. OK u r right,linux works very fast !! Depends with distro you use. If you take a look a Ubuntu's, it's very simple! On the other hand, ArchLinux for exemple, has only a text-based package manager but it's the quickest I know! All you have to do is to type "sudo pacman -S <package>" and it works! After that, you can do aliases on commands so you can type "install <package>" instead of "sudo pacman -S <package>" in the terminal for exemple. Don't forget that in Windows, the programs are installed everywhere and it becomes a mess after some weeks. 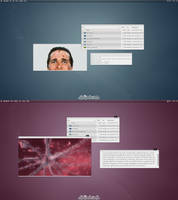 In Linux, all the files are organized automatically (or almost...).